The Babadook proves that horror, like beauty, is subjective. Sometimes a guy in a hockey mask wielding a machete is seen as scary – or perhaps an insidious alien creature that is on the hunt or demonic forces or spirits from beyond the grave. These are all intimidating “monsters” in their own right. 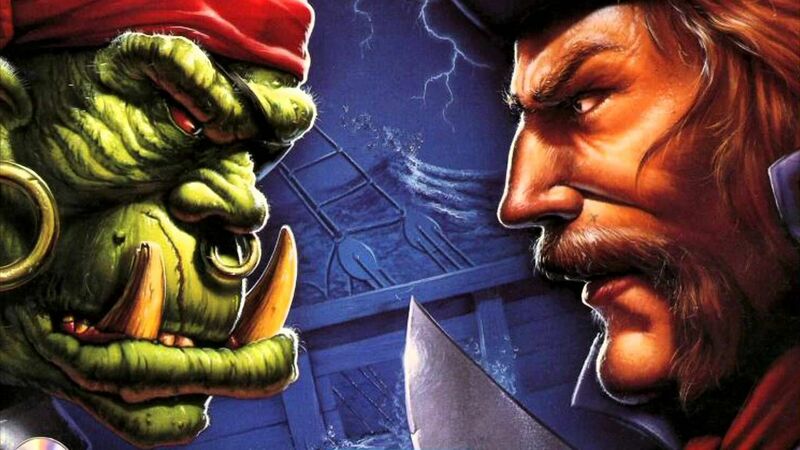 However, sometimes “the monster” is much, much more personal. What happens when unresolved grief manifests as a malevolent force? It may be possible to turn on the light to cast away the shadows, but the shadow upon the mind remains a permanent stain. You can run, but not from yourself. This is the frightening premise of The Babadook, a psychological horror movie that physicalizes depression and grief into one of the most scary boogeymen that has ever appeared on the silver screen. In the film, single mother Amelia (Essie Davis) is at her wits end dealing with her young son Samuel (Noah Wiseman) and his increasing obsession with fighting monsters. Samuel’s night terrors get exponentially worse after his mother reads him a mysterious pop-up book that talks about a creature hiding behind doors and in the shadows called The Babadook. Soon, the mother begins to see and experience dark forces inside the house. As she becomes more desperate, we discover that the grief from her husband passing away is fueling her terror. What follows is a dizzying descent into madness, and one of the most unique horror movies in recent memory. 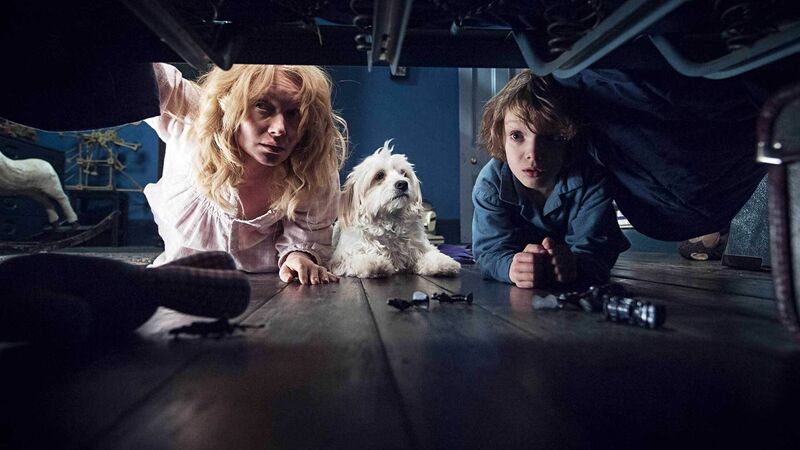 With that said, here are the 20 Wild Details Behind The Making Of The Babadook. 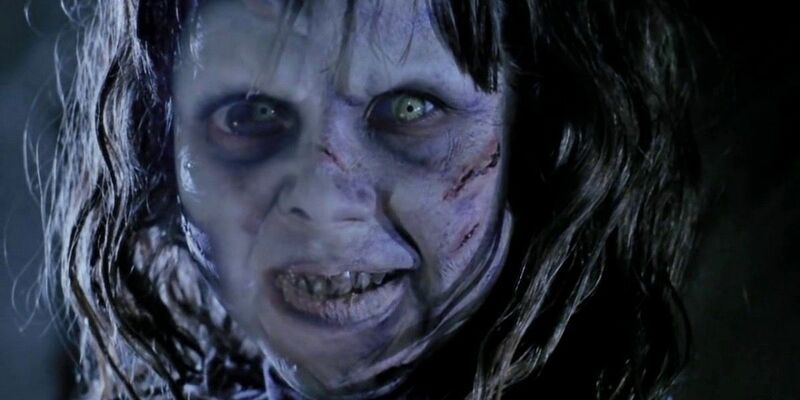 Many horror movies feature young characters. However, this can present an interesting problem for the director – how can one illicit believable terrorized reactions from a child without actually frightening them in real life? 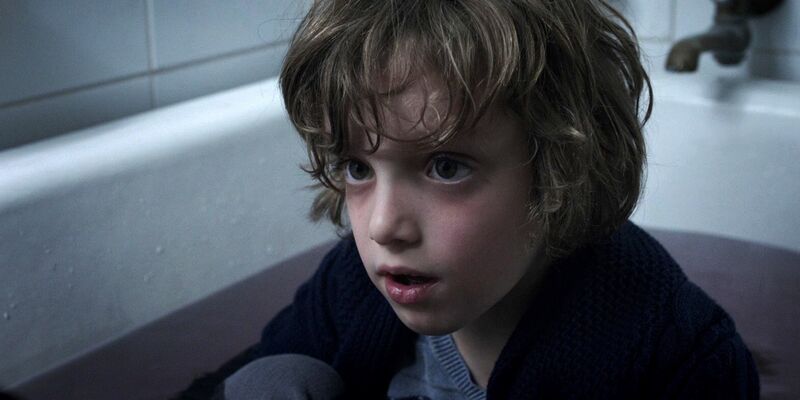 Dealing with frightening content can be scary for a child, so six-year-old Noah Wiseman left the set during some truly traumatizing scenes. Smaller productions like The Babadook often have to find inventive ways to conserve resources and save money. We only see a few glimpses of the Babadook himself, who just requires great costuming, makeup, and lighting to make him scary. Much of the Babadook’s presence is just implied by shadows and sounds, making it seem like he could manifest anywhere from the darkness. Rather than hiring another expensive actor for the production, director Jennifer Kent hired Tim Purcell, who worked in the art department. He stood in for the creature for camera tests, and they decided to stick with him. “They realized they could save some money, and have me just be the Babadook, and hence I became the Babadook,” Purcell in an interview. Being afraid of the dark or of monsters in unseen places is nothing new for children, but the implication that the lurking monster is a by-product of a parent’s repressed grief makes The Babadook unique and emotional. In Hebrew, “ba-badook” translates roughly to “He is coming for sure.” It’s purely an interesting coincidence, though, since this wasn’t the reason why director Jennifer Kent named the monster Babadook. Her origin from the name partially came from the Serbian word “Babaroga,” which means “boogeyman.” However, that’s not the full story, either. In an interview with Complex, Kent said that she wanted the name to sound like a child had invented it, something whimsical and weird. 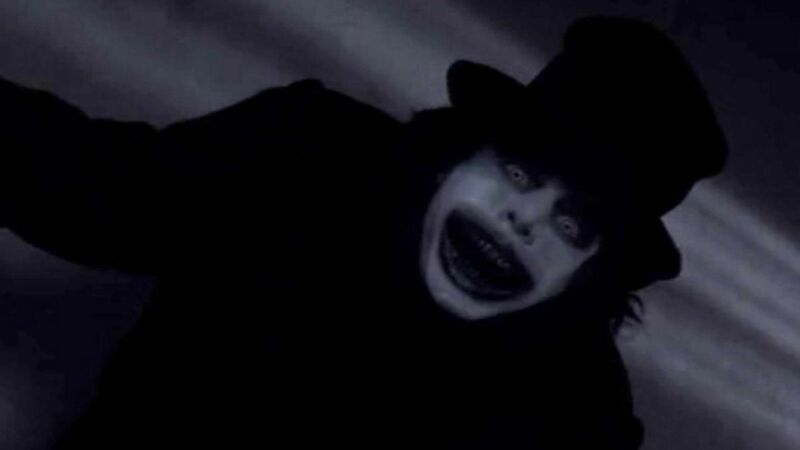 The Babadook had its origins in a short movie from the same director, taking a development path similar to other horror films that started as shorts. Jennifer Kent released the short in 2005. The short movie is called Monster, and it explores the same theme as The Babadook but in a much more abbreviated way. 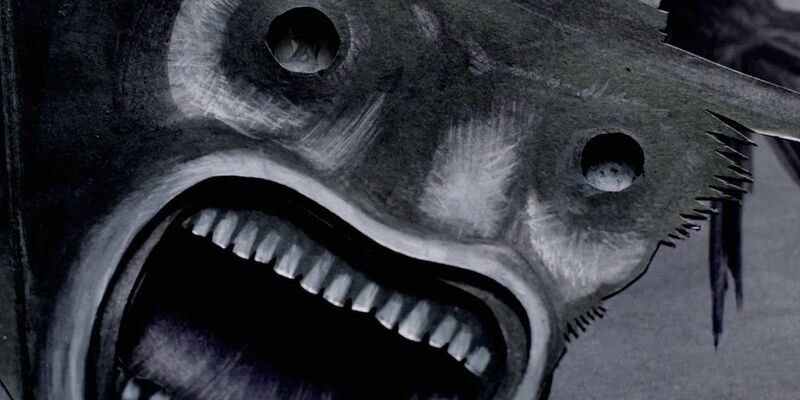 The Babadook has an unconventional and disturbing sound, particularly whenever the titular monster makes an appearance. As part of the mix, the sound designer used a dragon call sound effect from Warcraft II: Beyond the Dark Portal during scenes where we see the Babadook. In other scenes, the production utilized sounds from video games, such as UFO: Enemy Unknown, Mortal Kombat 3 and Resident Evil. Finding the right child actor is crucial for serious movies. It’s so rare to find a child who doesn’t overact, or worse, a kid who blandly recites lines with no emotion. 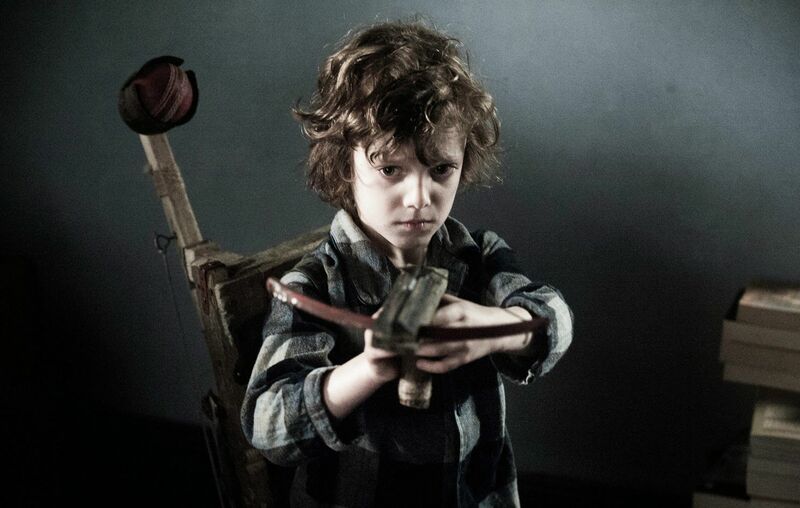 Director Jennifer Kent auditioned hundreds of boys for the role, and because of the movie’s mature subject matter, she initially only auditioned boys between the ages of eight and nine. However, according to one of the DVD featurettes, she found that there was a “knowing” quality present in the older boys that didn’t mesh well with the feeling of innocence that she wanted. She instead went younger and casted Noah Wiseman when he was only six. Wiseman is the son of a child psychologist and had the quality of innocence and believability that Kent was looking for. 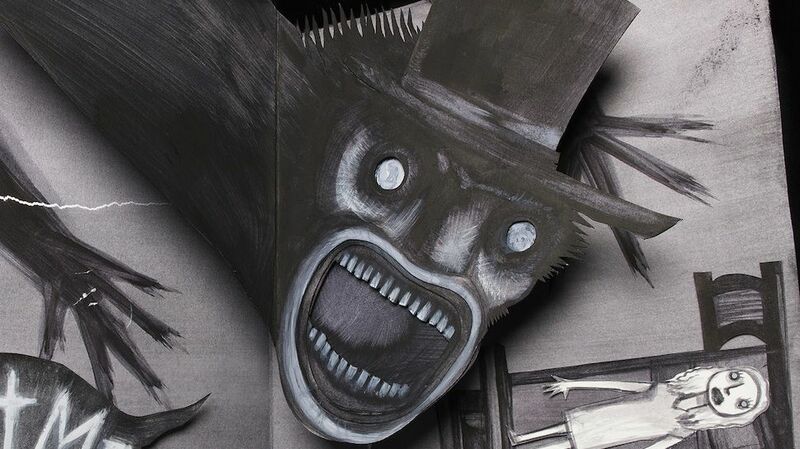 The Babadook has a somewhat ambiguous yet happy ending that sees the family come full circle, as they are no longer controlled by their paralyzing fear of the Babadook. Ultimately, the mother survives her descent into madness and hysteria and comes out on the other side more emotionally whole. Confronting her grief gave it less power over her. Her son, likewise, is no longer consumed by terror. In an interview with Film Journal, director Jennifer Kent said, “The Babadook is a film about a woman waking up from a long, metaphorical sleep and finding that she has the power to protect herself and her son. “Beyond genre and beyond being scary, that’s the most important thing in the film—facing our shadow side,” Kent stated. The Babadook earned a little over $10 million worldwide, but it utterly bombed in its native Australia when it first was released. It made about $258,000, not even clearing the million mark. Director Jennifer Kent has an explanation for this, however. According to her, people in Australia are automatically skeptical of their own countryman’s movies. It all started with a mistake on Netflix. The steaming service accidentally categorized The Babadook as an LGBTQ movie on their site. This temporary gaffe led to general whimsy in the LGBTQ community. 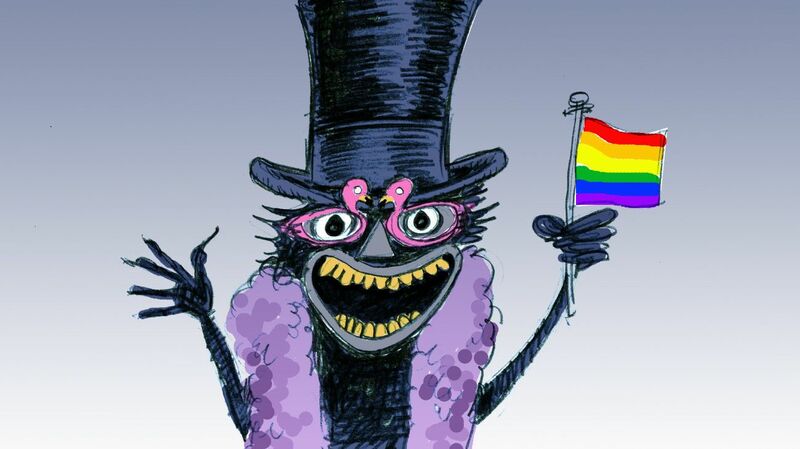 What if, they posited, The Babadook actually was gay? 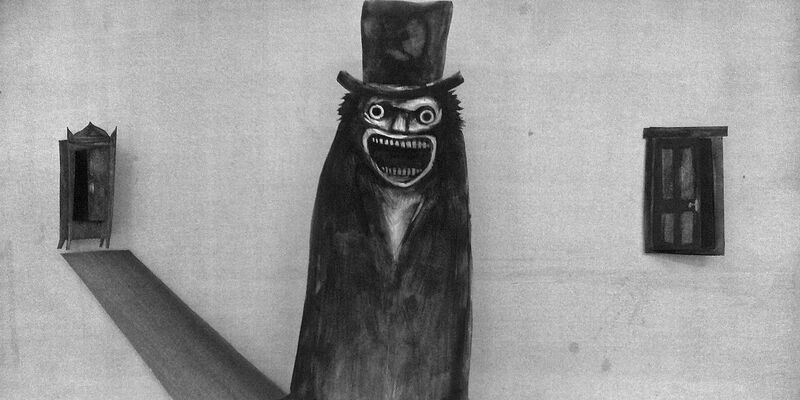 This created an internet sensation, and even motivated many individuals to dress up as the Babadook for pride parades. One fan even dressed up as the Babadook for the red carpet season finale of RuPaul’s Drag Race. Some people jokingly claim that the Babadook’s boyfriend is Pennywise the clown from It. The Babadook is one of the horror properties that feels like it doesn’t really need a sequel. After all, the Babadook is a deeply personal “monster” – he can only exist because of the family that discovered him the first time. The only way to “bring him back” would be to negate the ending of the first movie. Director Jennifer Kent has bluntly stated that there won’t be any sequels. She explained to IGN: “The reason for that is I will never allow any sequel to be made, because it’s not that kind of film… I don’t care how much I’m offered, it’s just not going to happen.” For big fans of The Babadook, this is probably a relief. Edgar Allen Poe’s The Fall of the House of Usher is a classic gothic tale about corruption and decay. 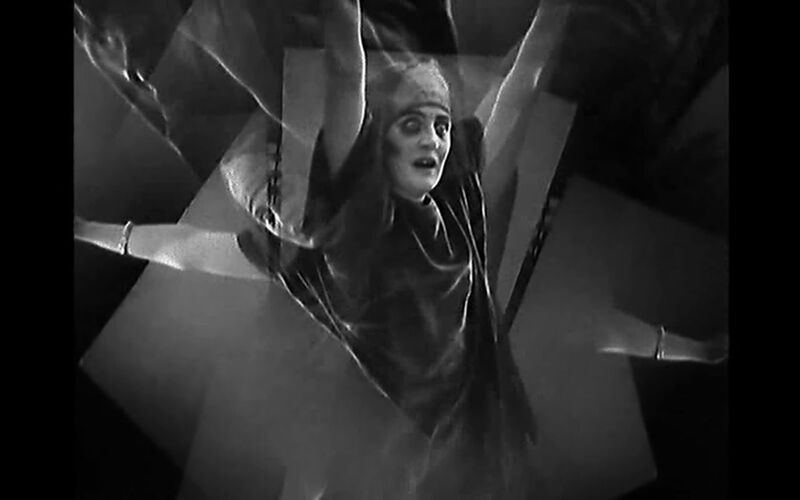 In 1928, French director Jean Epstein adapted the short story into a horror movie. Director Jennifer Kent mentioned this film as one of the influences for production design of The Babadook. Like most gothic stories from that era, The Fall of the House of Usher involves an old creepy mansion, several people in poor health, and the specter of impending doom. Hard shadows, expressionistic tableaus, and nightmare-like visions permeate the movie. Staircases move, hallways and walls look like they are reflected in a funhouse mirror, and giant dark shadows loom on the walls. A general sense of dread grows throughout the story. The Babadook makes similar use of shadows and architecture, and as the mother starts to lose her grip, the aesthetic of the house becomes more menacing. Sometimes the limitation of resources for a movie can lead to it becoming more innovative. For example, in Jaws, the mechanical shark rarely worked as planned, so director Steven Spielberg based most of the shark scenes on the suspense of just seeing the dorsal fin. 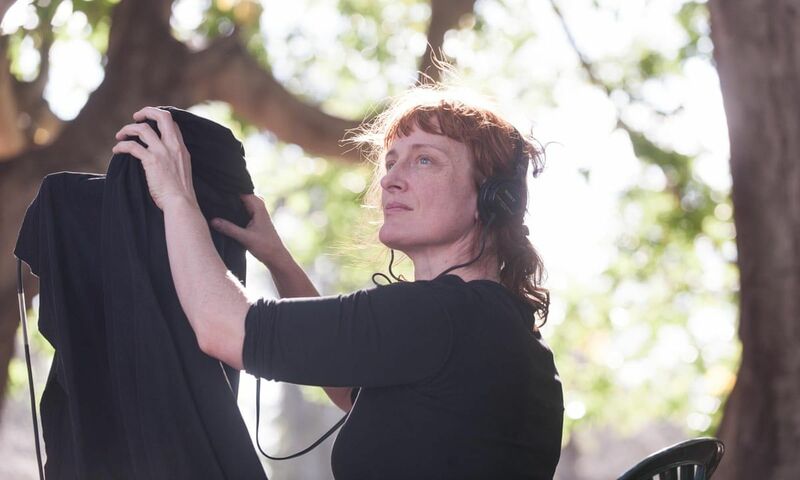 Director Jennifer Kent gets similar mileage out of The Babadook. Once The Babadook gets going, visual scares are easily accomplished simply by seeing his shadow, or a hint of his cloak or hat. In one scene, the mother gets an actual call from the Babadook — and his voice alone is nightmare-inducing. When every patch of darkness or every shadow could possibly hide this unspeakable evil, then the fear of seeing the Babadook is actually more suspenseful than actually seeing him. No CGI is required. Though she had filmed several shorts already, The Babadook was director Jennifer Kent’s first feature film. She did not attend a proper movie school. However, that’s not to say that she didn’t learn from some of the greats. Kent served as a Production Assistant on Lars Von Trier’s Dogville, no doubt picking up everything she could while working with him. Kent later decided to focus more on the storytelling aspect of directing rather than the purely technical side. She told The Los Angeles Times:”I didn’t need to learn about the technical process of filmmaking… I needed to develop courage in my own voice.” Kent describes herself as a horror fan and a cinephile, citing influences from early and modern directors, such as F.W. Murnau, Carl Dreyer, Dario Argento, Mario Bava, and John Carpenter. An old filmmaker’s adage when it comes to financing movies is “never spend your own money.” Luckily, Kent was able to capitalize on film grants from state institutions, amounting to approximately $2 million. Some of the organizations that supported her include Screen Australia and the South Australian Film Corporation. Movies are expensive, and there were all sorts of little touches that she needed to add in order to complete the film. 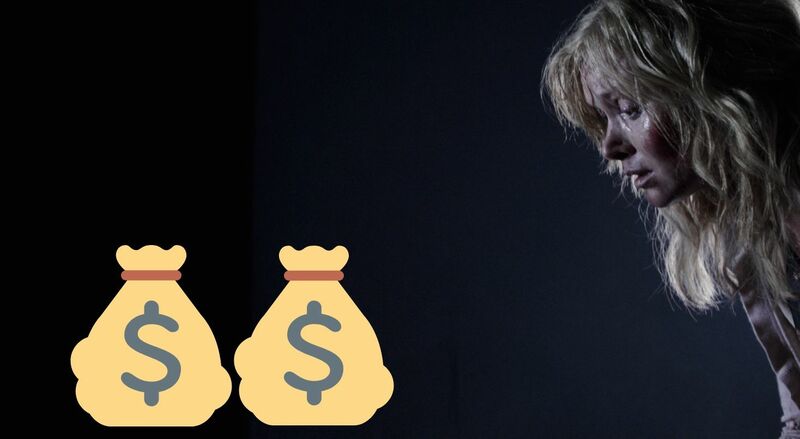 Kent was about $30,000 short of getting the money she needed to make the movie, so she mounted a successful Kickstarter campaign to raise the rest of the money. The movie has earned more than $10 million worldwide, representing a tidy return on the investment, not to mention tons of critical praise. The Babadook monster is ambiguous and open to interpretation. On the surface, the character can be read as a straightforward haunting or even perhaps as a demon hell-bent on possession. However, under the surface, there is something much deeper going on. Near the climax of the movie, the Babadook forces Amelia to re-experience the vivid demise of her husband in a car wreck. This seems to be the what opens the dam of pent-up grief and finally allows her to start taking back emotional control. One gets the feeling that the unintended feelings of grief and depression actually manifested into something evil. Had she allowed these feelings to flow, or if she had emotional support to deal with them, then the Babadook would have probably never materialized. In the movie business, it is especially important to never forget one’s friends. This is an industry that’s built on networking, after all. 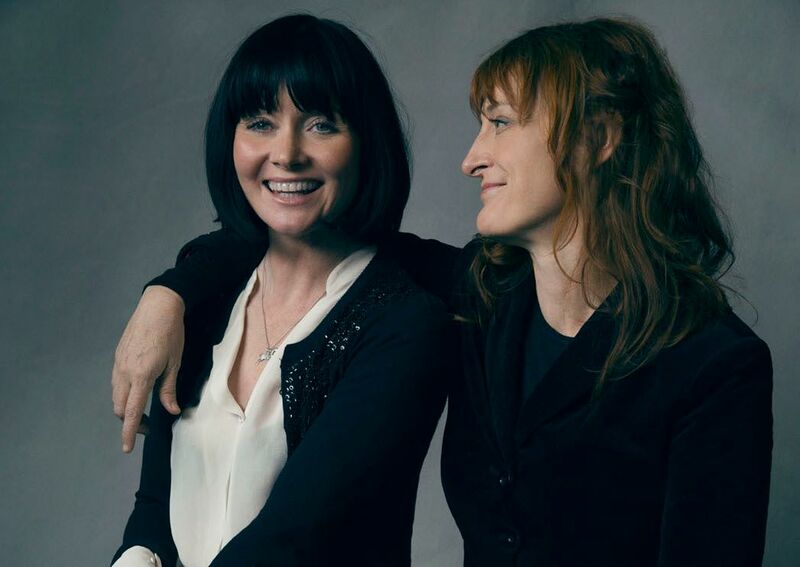 It turns out that director Jennifer Kent and lead actress Essie Davis have been friends since the ’90s. They both went to drama school together at the National Institute of Dramatic Art in Australia. This helped their working relationship a lot, as the role of Amelia is supremely vulnerable and required enormous trust between both actor and director. One of the scariest parts of The Babadook is the mysterious pop-up book that introduces mother and child to the titular monster. 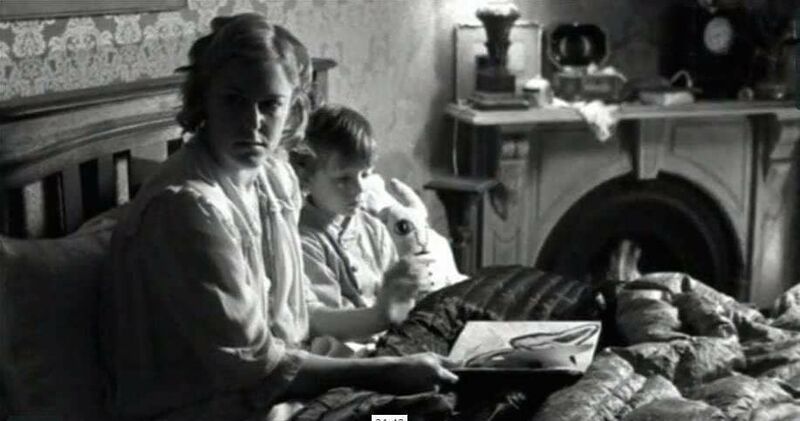 The book consists of creepy visuals of the creature lurking in the darkness, and the “victims” in the book have an uncanny resemblance to the mother and child reading it. Later, when Amelia attempts to dispose of the book, it mysteriously reappears on her doorstep. However, this time, there are added pop-up pages of the mother character executing the family dog, and eventually ending the life of her son and herself. Illustrator Alex Juhasz created the book for the movie and produced a limited (approximately 9500) series of signed replicas that were sold for $80. The books are now collector’s items and can be bought for hundreds of dollars online. Are there any other interesting secrets behind the making of The Babadook that we forgot to mention? Sound off in the comments!